U.S. Cellular recently added the ZTE Blade Max 3 to its roster of Android smartphones. The Max 3 is similar to the Max XL in that it has a 6-inch full HD display with 2.5D Gorilla Glass and huge 4,000mAh battery. The handset is powered by a 2 GHz octa-core Snapdragon 625 processor with 2 GB of RAM and 16 GB of internal storage. The Max 3 includes dual rear 13-megapixel cameras, with one that captures full color and one that captures black-and-white to assist with contrast and focus. The user-facing camera has a 5-megapixel sensor. Other features include a rear-mounted fingerprint reader, high-fidelity audio, USB-C, memory card support, and GPS, Bluetooth, and WiFi radios. 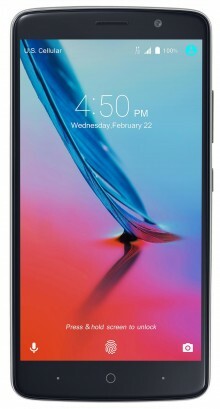 The ZTE Blade Max 3 is available from U.S. Cellular's web site for $200.